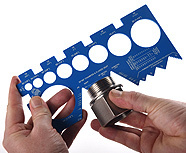 A good first step towards thread identification is to determine whether the thread is parallel or tapered. 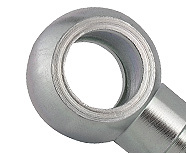 Parallel means the thread walls are straight; while tapered means the thread walls, if continued lengthwise, would eventually meet. 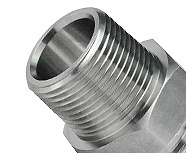 A seal must be used for all parallel fittings in port application. 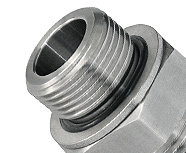 This first step will help you eliminate a number of possible thread types, as well as explain the method of seal. 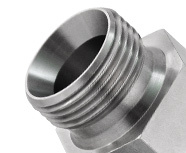 For a parallel thread in port application, the fitting will usually seal at the top of the thread by means of an O-ring or seal. 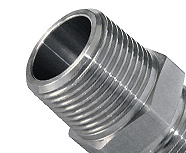 With a tapered thread, the fitting typically seals via metal-to-metal wedging of the threads. It is also possible for some tapered males to thread into certain parallel female threads, however, there are many variables involved so caution should be taken. 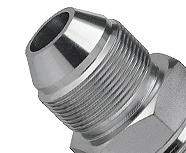 Sometimes a thread sealant is applied prior to installation to reduce instances of leakage on tapered threads. 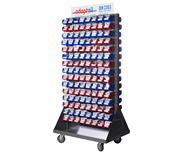 The ability to properly identify seats, chamfers, and their corresponding angles can also be a benefit to overall fitting identification. 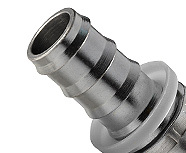 Flared seats refer to the protruding “nose cone” on a male thread, or the internal flare on a female thread. 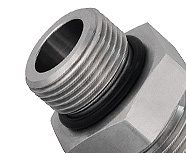 Ball seats however refer to the nose cone inside a female thread (swivel only) that seals with the bevel / chamfer on the inside of a male thread. 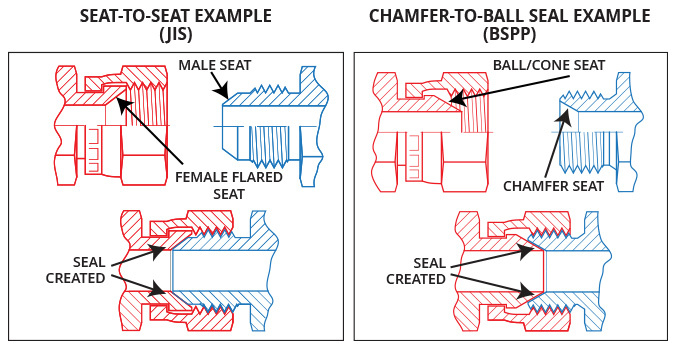 As opposed to other methods of sealing previously mentioned, this form of seal is created between the flared seats or between the chamfer and ball seat, as is the case in the latter example. 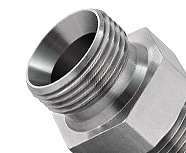 Most metric threads available from Adaptall are described as “dual purpose,” meaning they are capable of tube application as well as port. 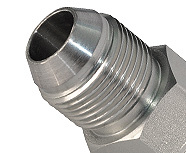 This also includes Kobelco fittings which are essentially an L-series metric thread with a 1.5mm thread pitch in all sizes. 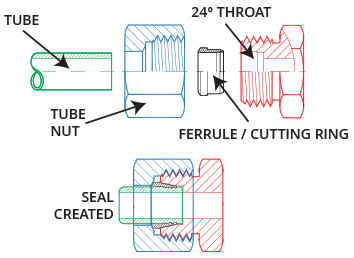 Most metric and Kobelco threads are tube application capable because of a 24° tapered throat angle that exists inside the male threads. 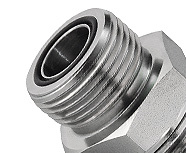 To achieve a tube connection, a tube nut is tightened over the metric threads forcing a ferrule or cutting ring to grip the tube. 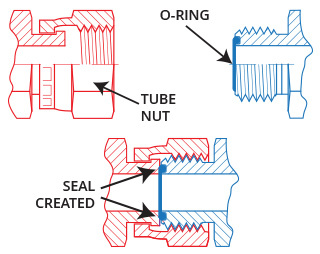 By having the nut securely fastened, the ferrule squeezes the tube which holds the tube itself in place. 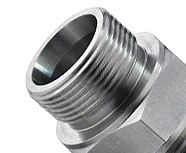 24° fittings and accessories are made in three different series: LL series for low pressure, L series for medium pressure, and S series for high pressure applications. 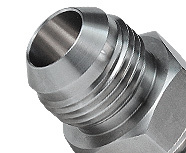 More information on 24° DIN tube fittings such as installation instructions can be found here. 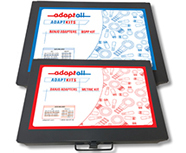 Adaptall also stocks Face Seal conversion fittings. This is a very common fitting in North America known as O-ring Face Seal (ORFS), but is also used with British threads (HIAB) as well as Metric threads (Metric Flat-Face). 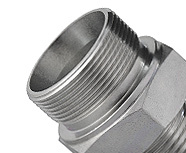 Essentially, face seal fittings seal between an O-ring located in the face of the straight male thread, and the flat face seat on the female thread.